SAN FRANCISCO, CA--(Marketwire - April 24, 2008) - McGuire Real Estate, a San Francisco-based real estate company specializing in luxury real estate, announced today the appointment of attorney Linda Quinn as broker associate in its San Francisco downtown office at 560 Davis Street. In this position, she continues her specialization in the sale and purchase of multi-unit and mixed-use buildings. Quinn joins McGuire from Keller Williams where she was broker associate. She began her real estate career 18 years ago working on the legal team that helped a national Canadian oil company sell all of its properties. Quinn's experience includes representation in a wide variety of real estate projects including residential sales, an RV park, a recycling plant, construction, and residential land developments. Her expertise is in the analysis and creation of a strategy before putting properties on the market, and in closing transactions. Quinn's legal work is now devoted exclusively to pro bono matters through the Volunteer Legal Services Program of the Bar Association of San Francisco. 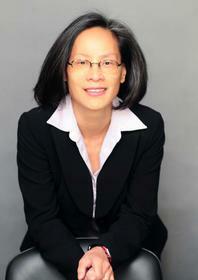 She serves as treasurer of the San Francisco chapter of the National Association of Women Business Owners. Quinn is a resident of San Francisco. Since 1919, McGuire Real Estate (www.mcguire.com) has been an integral part of the real estate scene in the San Francisco Bay Area. A mid-sized, regional boutique, McGuire specializes in luxury real estate but applies the highest standards of service to properties in every price range, and to every client. Its "customer first" philosophy and local focus have proved to be a winning formula for this Bay Area real estate leader. The firm has three offices in San Francisco, one in Mill Valley serving Marin County and one in Burlingame serving the Peninsula.